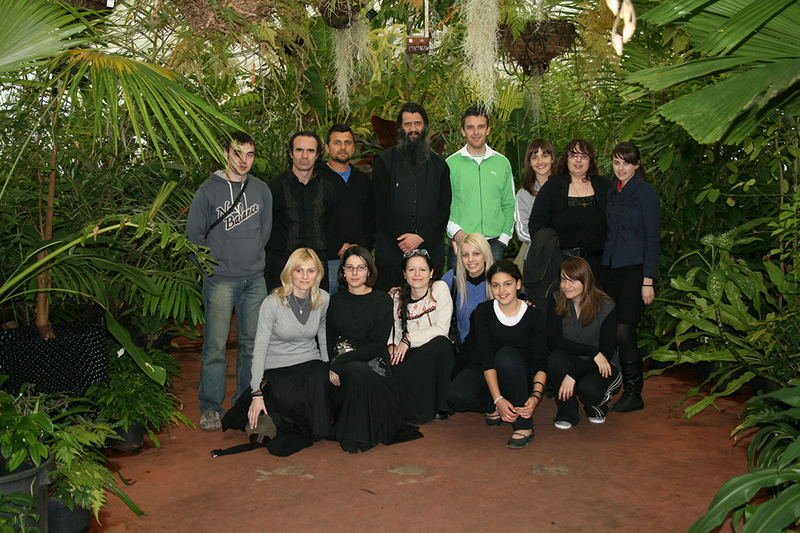 The Macedonian Youth of Australia (MOYA) was formed in 2006 and it was based at the monastery of St Prohor Pchinski in Melbourne. The group had a great support from the local church youth, and with the arrival of Father Gavril, Abbott of the monastery of St Prohor Pchinski, the group received its mentor and guide. It started small, but with our Lord’s grace it turned into something extraordinary. Strangers turned into friends, Friends turned into families. Seeing that 10 years have passed since its foundation, those who were the first members of MOYA, now have their own families and they participate in different groups together with their young children in the spirit of God. This very fact shows us how important it is for the youth to participate in groups of such nature as it paves the way for our future generations. By saying this, MOYA is known to have members of different ages, therefore the parents of the children have always been welcomed part of the group. MOYA’s main purpose is to enlighten the soul through religious education (R.E) and also to organize and attend spiritual journeys, socialize in activities and meet new people. The group initially started by participating in weekly religious education meetings, gaining the opportunity to learn about different topics on the Orthodox faith. During these open weekly forums the youth were encouraged to participate in discussions and ask questions about the topic discussed. The forums were open to all members of the community and began with an Akathist to the Most Holy Bogorodoca. Father Gavril often had honoured guests and speakers (from the clergy) at these forums which was gladly accepted and offered the members to see a different opinion on a given topic. Every year activities were organised in the spirit of Orthodoxy for particular saints days and days of significance for the group. Annually on the day of St Ilija, the youth presented the Macedonian culture through games such as chess and football and the preparing of the best Macedonian cuisine. This was also presented through participation in the Whittlesea Council’s Heritage Week program, that encouraged others in the local community to learn about orthodoxy by participating in the event organised by the youth. This group was also actively involved in the preparation of many of the Orthodox faith celebratory days such as preparing the monastery and the monastery grounds in preparation for Easter and Christmas. MOYA also aimed to continue to be active in social mediums such as Facebook to share our events and activities as well as an opportunity to educate others about the orthodox faith. The youth used this medium to share information about events such as trips organised to the mountains in the winter or outdoor gatherings in nature. Under the instructions of abbot Gavril an Icon painting School, titled St. Theophilus of Strumica was established. This school was named St Theophilus of Strumica who was the confessor for icons in Macedonia. The art of icon writing does not simply rely on technical skills but also spiritual growth and prayer. 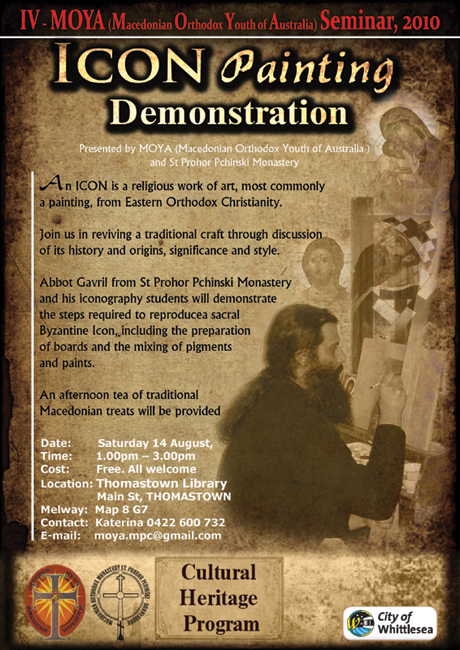 Talented and creative members of the MOYA group were part of the iconography studio St. Teophilus, where they painted their first icons. As well as a few successful icon exhibitions were organised. Furthermore, the MOYA members were part of the Church choir at the monastery St Prohor pchinski for 9 years. However, MOYA was most recognised for the annual MOYA seminar organised every year, where a large number of Orthodox faithful from across Australia would come together to learn about their faith. 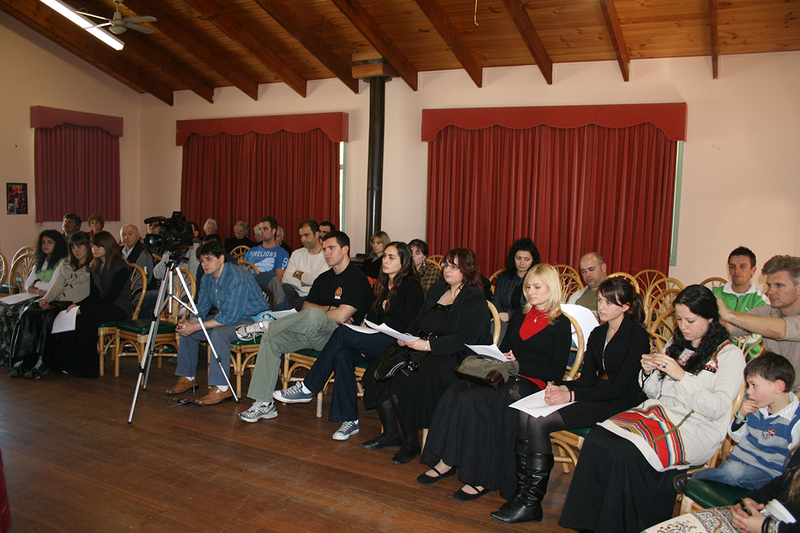 These seminars were organised by the youth that would organise lectures, to be presented on a particular topic, presented by the Macedonian Orthodox clergy in Australia. Each year, this three day event would see youth participating from other states, in particular Sydney and other members coming from across Australia to gather together and grow spiritually. On the last day of the seminars the youth had the opportunity to meet socially and get to know one another through outings organised around Victoria. This year MOYA celebrated it’s 10 Year Anniversary and was grateful to God to celebrate this event. It was an opportunity to take the time to reflect on our 10 years together, to acknowledge those who have supported us and to motivate us to continue in growing our faith together. This year MOYA’s 10 Year celebration also had the participation from the faithful youth from other Orthodox Churches of the our holy orthodox faith. MOYA hopes to continue to develop these relationships in the future. Therefore, we need to point out that the backbone of MOYA for the past decade was the guidance and selfless support of Father Gavril. Everything MOYA has achieved over the years is a tribute to the time and dedication he has provided the group. Due to his presence MOYA got to know the rest of the clergy and church groups and share our support throughout the years. 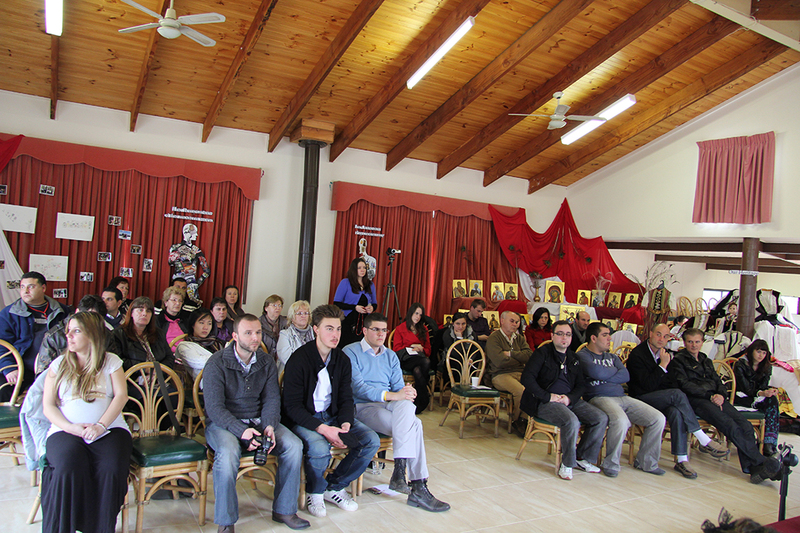 During the seminars, honorable guests and speakers were representatives and clergy from other sister orthodox churches. For all the love that was showed to us over the past 10 years, we are deeply grateful for the support received by him and for his commitment to see us succeed and grow spiritually in our faith. Consequently, it was MOYA’s greatest honour to surprise father Gavril with a caricature portrait of himself together with some of the MOYA members. We thank God for his love and kindness in helping this group form and through his will allowing us to share the faith to others.